Since I met my husband, Lindon, my weight has never varied more than that amount, but heck, that’s MORE than enough for me. I was actually 4 pounds lighter back then, and in the deep recesses of my mind, this torments me. 4 pounds. He doesn’t even notice. Really! I asked him if in the six years he’s known me, has he ever observed any fluctuation in my weight. And he’s pretty close to being right. Actually, a 4 to 8 ounce gain is annoying, but know this, I am just 2 pounds away at any given moment from a VERY, VERY BAD DAY. Now before you start flooding my inbox with letters of concern, telling me I have a self-image problem or eating disorder, let me reassure you that I do not. I simply have the propensity to gain weight easily, and if I don’t keep it in check, it can sneak up on me in short order. In fact, I enjoy eating so much that part of the inspiration behind my active lifestyle is so I can enjoy an eating lifestyle that’s comfortable and fun. Have you noticed this in your life? My husband has told me over and over again that I’m good at the little stuff. The notes, phone calls, cards, special lunchbox treats, meaningful ‘just cause’ gifts that don’t cost much but show a thoughtful gesture, etc. I never quite thought about it in those terms because doing the ‘little stuff’ has always come naturally. I’ve just always thoroughly enjoyed it. But when I stopped to consider WHY I enjoy doing these little things, I realized that my heart knows the big difference they can make. When we set aside just a few minutes in the morning to read a devotional together, it makes a big difference in the rest of our day. 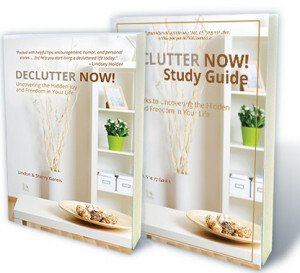 How about household tasks like cleaning out the kitchen junk drawer or front coat closet? Just twenty minutes of work can make a big difference for months to come! On an emotional level, my toddler grandson can sometimes have a difficult time transitioning when being dropped off at our home. Giving him just five or ten minutes to adjust to the change can make a big difference in his precious world. A simple word of encouragement to someone struggling or a moment set aside to comfort a friend in need can discourage a downward spiral or avert a catastrophe. A short time in prayer can bring hopefulness to a situation bathed in despair, victory during a challenge, and companionship in a time of loneliness. Without raining on this happy parade, I’d be remiss if I didn’t mention that little things can also make a big ‘negative’ difference. A sharp word, selfish moment, or thoughtless decision can hurt feelings, destroy trust, and damage relationships. While we don’t want to operate in stuffy, stiff, robot mode, it’s important to be as thoughtful as possible in all we do. Why? 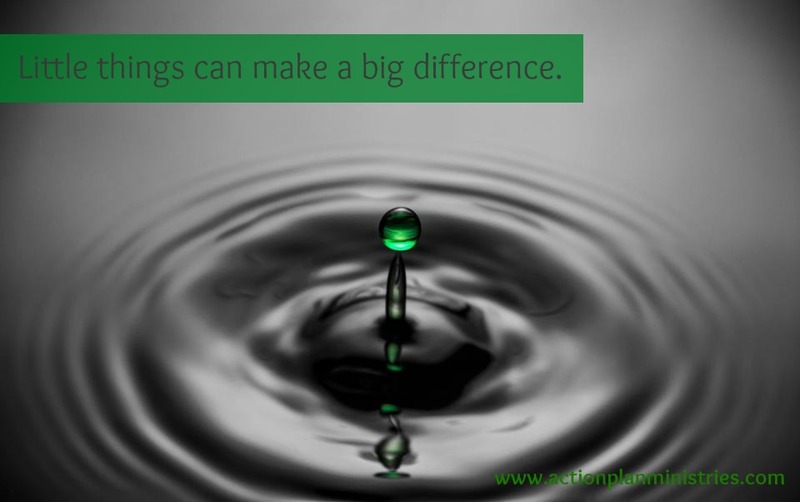 Because the little things can make a big difference, of course! In a world full of more, more, more and bigger is better, I beg you to remember that many times ‘less is actually more’. It’s not about spending big bucks on presents, cramming as many activities as possible into life, or outdoing those around you. 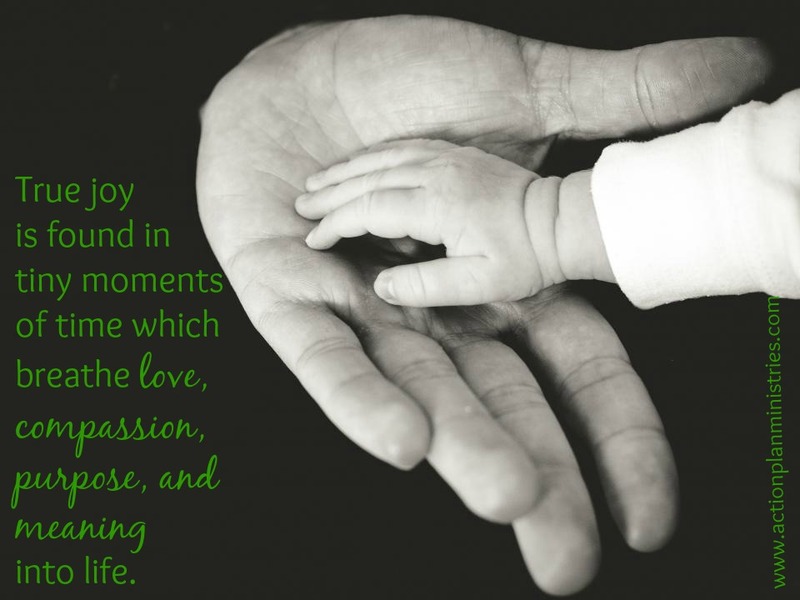 True joy is found in tiny moments of time which breathe love, compassion, purpose, and meaning into life. In a world full of more, more, more & bigger is better, remember that ‘less is often more’. As we head into the Thanksgiving and Christmas season, I’ll be sharing more about priorities, but for now, I leave you with this. Be in intentional and find special, little ways you can pamper yourself, show love to those around you, deepen your relationship with Christ, and bring glory to His Kingdom. Have a beautiful day filled with lots of special little things that will make a big difference! This entry was posted in Inspirational, Self-help, Uncategorized and tagged better, big, call, devotional, difference, fat, glory, God, heart, Important, inspiration, joy, Kingdom, less, little, love, more, note, pounds, prayer, relationship, task, things, weight. Bookmark the permalink. 2 Responses to Just 9 Pounds To My Fat Self!